Kingdom Gate Worship Center is a gathering place for the Ekklesia of Florida to strategize, govern and advance the Kingdom to God together through declaration, intercession and passionate worship. We are a body of believers that not only stands in the gap for our city, but our state. We believe for an outpouring of the Holy Spirit to sweep Florida and the nation. Florida will be saved! Kingdom Gate Worship Center's mission is to see the Kingdom of God invade the earth. We equip, empower and send forth believers as apostolic forerunners to take territories and regions for Kingdom of God. We want to raise up believers who are passionate about the advancement of the Kingdom of God in Satellite Beach and in the state of Florida. Kingdom Gate Worship Center believes in moving in the apostolic. Apostolic ministries function governmentally. Kingdom Gate Worship Center is a gathering place for the Ekklesia of Florida to strategize, govern and advance the Kingdom to God together through declaration, intercession and passionate worship. Apostolic Centers or ‘Freedom Outposts’ will form a network across the state of Florida that will unite the remnant, which in turn will launch Florida into its forerunner destiny. Florida is going to be a great army; God has made Florida a great weapon in the hand of God. 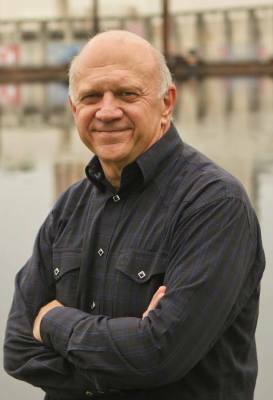 Ken Malone is being used by God to mobilize the body of Christ throughout Florida and the nation. After being a pastor for 24 years Ken has recently stepped down from a pastoral position. This has allowed God to launch Ken into his apostolic role within Florida and the nation. He is an ordained minister and serves as the founder of Forerunner Ministries and serves on the board of Dutch Sheets Ministries. Ken also serves as one of the leaders of Network Ekklesia International, an Apostolic Network founded by Dutch Sheets. He and his wife Cheryl travel across Florida and the nation equipping, empowering and sending out believers into the harvest. Traveling extensively throughout Florida and the nation, spiritual breakthrough in the heavens over churches, cities and regions is producing a great momentum toward an unprecedented Book of Acts revival. Ken walks in a governmental apostolic mantle that releases the body of Christ into their destiny. He also ministers with a prophetic, seer anointing which enables him to identify, activate and release redemptive gifts in individuals, churches and cities. Ken and Cheryl have been married since 1973. They have four children, eight grandchildren and have mentored many spiritual sons and daughters. They make their home in central Florida. Pastor Kendall Nickell is the Pastor at Kingdom Gate Worship Center. He resides in Satellite Beach with his wife, Melissa.